The Falcon 44 (design no.139) is launched on July 21st. The yacht is built in composite and has a retractable keel. The building started in October 2004 and the whole project is done by an ‘amateur’ builder. The result is a professionally built yacht with traditional lines and up-to-date sailing characteristics. 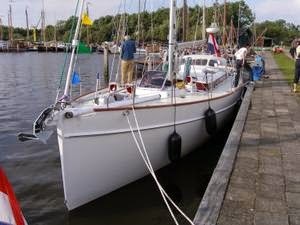 The Falcon 44 will make her first sailing trips in August.